Peak Season Reminder | Book your flight NOW! - Gateway to Canada | Canada Immigration Consultancy! Peak Season Reminder | Book your flight NOW! 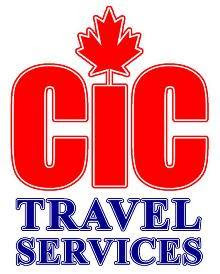 Here's a reminder from CIC Travel Services, our partner travel agency, about the peak season rates and dates. PEAK SEASON of 1st Time Immigrants to Canada starts from 20 March to 31 May. Right after graduation in March, Filipinos, specially those with kids, fly to Canada during the said period. If you have your VISA already stamped, try to secure your tickets now, as January might be too late. Flights to Saskatoon, Regina and Winnipeg are limited and very hard to connect. Visit CIC Travel Services for Inquiries.